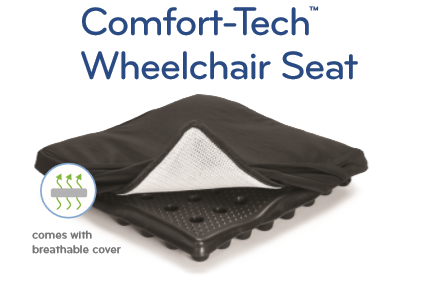 BackJoy's Comfort-Tech Wheelchair Seat is the manufacturer's newest designed seat in order to relieve muscle tension and discomfort associated with being in a constant sitting position. 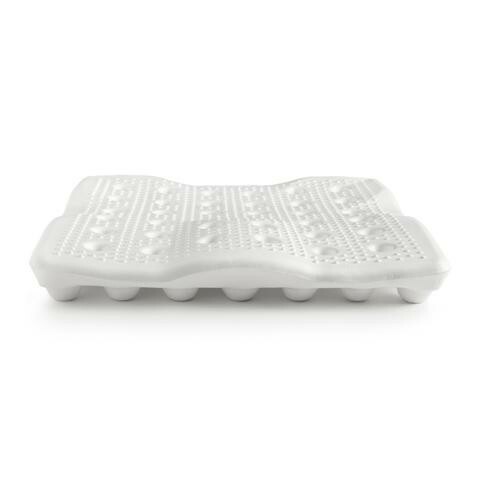 The seat's patented Port and Pillar design is able to reduce pressure on the joints by up to 70 percent. This reduction in pressure is due to the seat being able to place the pelvis in the proper position, aligning the spine as it takes away the stress on the lower back. The Pillar design, when joined with the permeable cover, provide a constant stream of air flow in order to reduce the overall temperature of the seated area. 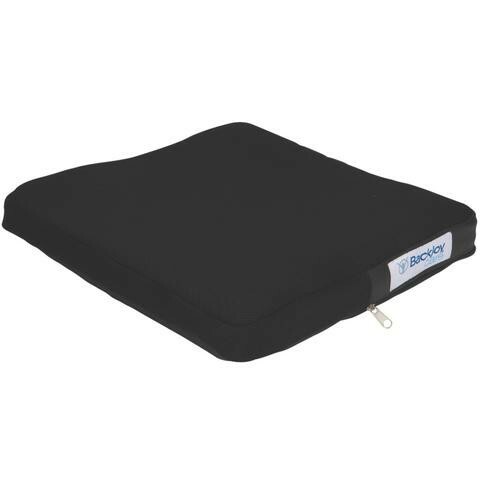 The cover is allows for airflow as well to prevent moisture build-up on the skin for extra comfort. Comfort-Tech is completely waterproof and heat resistant up to 158 degrees Fahrenheit (70 Celsius). It also cleans easily with soap and water. 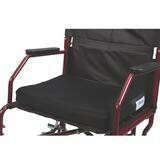 The seat is available in five different sizes to get the right support for you.